It really fascinates me how technology is changing and impacting the education field. It’s so exciting to imagine the tools and resources educators and other professionals in the training sector will have to analyze and put more efficiencies in place. In this post, we will discuss the technology of blockchain in education. Yes, that’s right. Blockchain is not just related to bitcoin and cryptocurrencies. It also has applications in education. Let’s discover more! Blockchain is a system in which a record of transactions are maintained across several computers that are linked in a peer-to-peer network. A blockchain is a time-stamped series of immutable record of data that is managed cluster of computers. These computers are around the world and are not owned by a single entity. They are owned by lots of individuals like you and me, located everywhere. Each block of data is secured and bound to each other using cryptographic principles (chain). 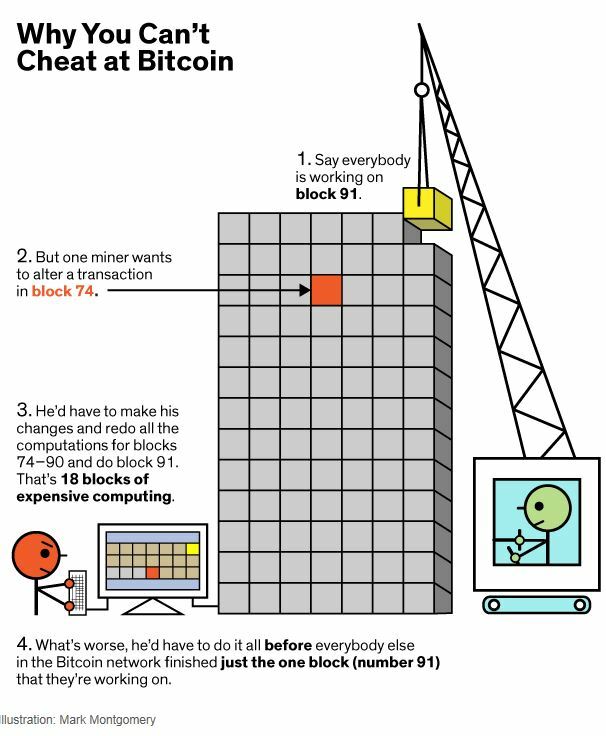 Blockchain was invented by Satoshi Nakamoto in 2008. But one interesting thing is that Satoshi Nakamoto is a name of an unknown person or a group of people who developed bitcoin and authored the bitcoin white paper, which are the beginnings of this technology. So what is Blockchain so special? Because the blockchain network has no central authority, it is a democratized system. 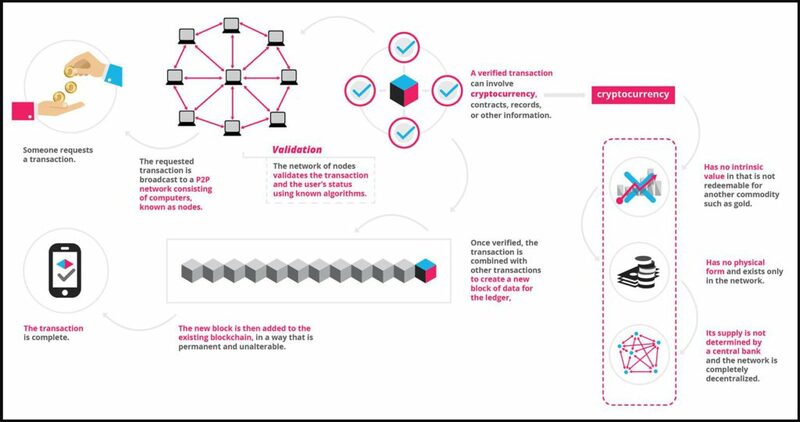 A blockchain is a simple way to pass information from A to B in a fully automated and safe manner. One party initiates the transaction process by creating a block. This block is verified by thousands, perhaps millions of computers distributed around the net. The verified block is added to a chain, which is stored across the net, creating not just a unique record, but a unique record with a unique history. Falsifying a single record would mean falsifying the entire chain in millions of instances. That is virtually impossible. (Blockgeeks Inc., 2016). So we have 3 very attractive points, one is that the network ownership is open to everyone who wants to be part of the network and not owned by a central organization (decentralization). The other key point is that transactions cannot be altered (immutability), which adds extra security and validation to the operation. And finally, data can be tracked (transparency). Blockchain became familiar because it first known application is Bitcoin. Bitcoin is the most popular digital cryptocurrency that cuts out traditional financial institutions by allowing peer-to-peer transactions. Why blockchain transactions are immutable? Data is written to the Blockchain only by consensus and, once written, it can never be changed. You can only append data to the existing data, you can never change what has already been written to the Blockchain. 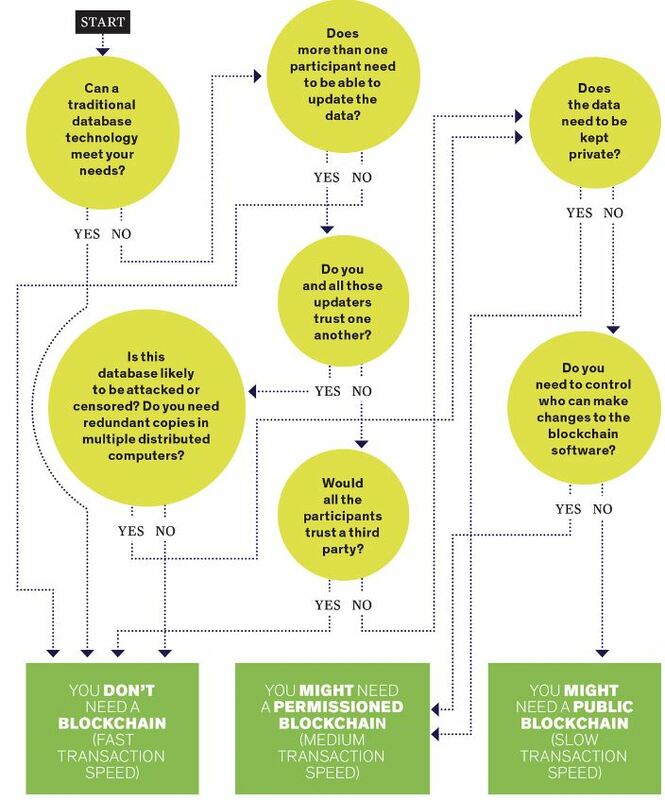 The image below illustrates the immutable nature of blockchain (Walsh, n.d.). OK, so by now, you might be wondering how all this blockchain stuff can be incorporated into education. To understand what uses blockchain can have in education or in any other field, it is good to keep in mind that any transactions between parties is a target application for blockchain technology. Digital Certificates, transcripts and student’s records: with blockchain technology these records will be immutable and can be validated and evaluated by anyone who has access to the blockchain. Since the records are stored in a shared distributed ledger, the certificate can still be validated even if the organization that had issued it no longer exists. Replace paper: with the use of digital records, transcripts, diplomas, certificates and any other documentation, blockchain will replace paper. We don’t need to worry anymore about losing or keeping our records in a safe place. Employers, institutions, students and any other interested party could request access to see particular records and because they are immutable they have higher credibility. There won’t be a need to certify copies. Everything will be validated and consolidated in blockchain format. Credentials: all our immutable certificates and credentials will be stored in blockchain and can be retrieved from our digital wallets at any time. If an employer needs to verify that we actually have specific accreditation they could easily check the blockchain and confirm that we have the skills we claim to have. Accessibility of records: educator, students and any individual can see and have access to credentials and records from a digital wallet, which basically is an application in our smartphones. 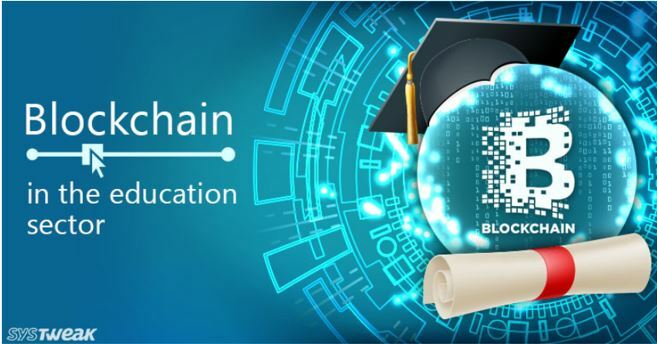 Validation of information: in 2018, MIT together with the blockchain startup Learning Machine used bitcoin blockchain to issue more than 100 digital diplomas of its graduates (Coin Idol, 2018). There won’t be illegal or fake diplomas or certificates. If you earn your degree, you will get that data in an unchangeable blockchain that you can share with future employers in your resume or LinkedIn account. Motivation for students: a form of reward to students could be with tokens. The better they perform in a course, the more tokens they could get. These digital tokens can be implemented with the blockchain technology. In some cases, students could use the tokens earned to pay for more courses, the tuition fees or to move those tokens to their digital wallets and convert them into a cryptocurrency. What better way to engage students than this? 😀 knowing they will be able to earn money for better performance will definitely motivate students. Connection between students and employers: with the use of these digital tokens that will be part of a blockchain, students with more tokens could be in a leader board or look more appealing for future employers who will be searching for the more competent candidates. One way to measure how skilled candidates are will be by verifying how many tokens students achieved during their courses. Rewarding high quality content: similarly to the token system to reward students, we could use this model to reward educators, instructional designers and content creators. The better the content and the course, the more tokens students will assign. These tokens will again be converted into cryptocurrencies that educators can cash out or maintain in their digital wallets. One existing platform that is using the token model as incentives based on the blockchain technology is Tutellus. You can read more about their platform in this paper. Do I need Blockchain technology? As you can see, blockchain technology not only will impact the financial sector with cryptocurrencies, but it will also find its applications in many industries that have transactions between 2 or more parties with the requirement of keeping records safely. When you think of this technology from that more generic perspective you can that there is so much potential! What do you think about blockchain in education? Good post on block chains and the possibility for it to be used in education. I am for this idea especially the benefit on using the digital certificates that be validated. I am in an industry that requires us to validate a given education certificate to ensure that it is genuine. This is a very difficult task, so if all educational certs are issued via block chains as a digital cert, then the validation process will be easier. But this will require the participation from all the universities in the world to make this works, i thinks this is huge challenge, what do you think? Thanks so much for your comment. Yes indeed is going to be a hard task but learning management systems will be onboard with this technology in no time.